actor/dancer Buddy Ebsen was born Christian Rudolph Ebsen in Belleville Illinois. After co-starring as a dancer with child star Shirley Temple on the big screen in the 30’s, Ebsen had an amazing TV career. He starred in three very different series (Northwest Passage, Beverly Hillbillies, Barnaby Jones) and was the hero’s pal in half-a-dozen Davey Crockett TV features. As well he guest starred in scores of other series. He died of complications from pneumonia July 6, 2003 at age 95. In 1912, singer Herbert Mills of The Mills Brothers was born in Piqua Ohio. Their many hits include Paper Doll, You Always Hurt the One You Love, Glow-Worm & Cab Driver. He died Apr 12, 1989, just days after his 77th birthday. In 1913, actress Fran Carlon was born in Indianapolis. She entered radio doing commercials on Amos ‘n’ Andy. Her many radio roles included Martha in This Changing World, the reporter Lorelei Kilbourne in Big Town, sister Sue in Big Sister, Rhoda Brent in Blackstone, the Magic Detective and Irene in Our Gal Sunday. She played the lead in Kitty Keene, Mary Marlin and Joyce Jordan, MD. On TV she played Ada in The Hamptons, Julia Burke in As the World Turns and Portia Blake in Portia Faces Life. She succumbed to cancer Oct. 4 1993 at age 80. 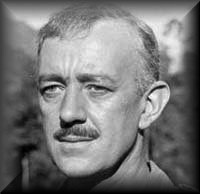 In 1914, actor Sir Alec Guinness was born Alec Guinness de Cuffe in England. The versatile, distinguished Oscar-winner had only a few TV credits, notably in 1979’s Tinker, Tailor, Soldier, Spy. He died of liver cancer Aug 5, 2000 at age 86. In 1917, radio actress Gertrude Warner was born in Hartford Conn. She was known as the third busiest radio actor and one of the ‘queens of the daytime’ during the OTR era. She played such well known characters as Della Street on the daytime Perry Mason, “the lovely Margot Lane” on The Shadow, and the title character on the soap Joyce Jordan, M.D. 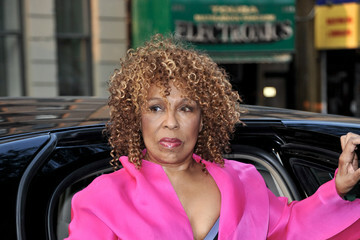 Her radio career spanned 28 years and well over 4,000 performances. She succumbed to cancer Sept. 26 1986 at age 69. 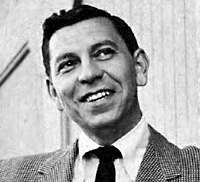 In 1920, the creator & star of Dragnet Jack Webb (below) was born in Santa Monica. Before Dragnet hit the bigtime on NBC Radio in 1949 he had already scored two west coast cult hits with Pat Novak for Hire, & Johnny Madero Pier 23. Dragnet came to TV in ’51 while continuing on radio until ’56. Pete Kelly’s Blues, featuring the jazz he loved so much, was an unsuccessful Webb radio series in ’51, a moderate film success in ’55, and a so-so TV series in ’59. He scored one more TV hit, producing Emergency (1972-77.) Webb died of a heart attack Dec 23, 1982 at age 62. In 1935, British inventor Sir Watson-Watt patented RADAR. In 1939, Motown hitmaker Marvin Gaye was born in Washington, D-C. He’s best remembered for his 1969 chart-topper “I Heard It Through the Grapevine,” duets with Tammi Terrell his landmark 1971 album “What’s Going On.” Marvin Gaye was shot to death by his father during a 1984 domestic dispute. In 1942, Glenn Miller and his orchestra recorded “American Patrol” for RCA Victor records, with future bandleader Billy May on trumpet. The jitterbug tune became one of Miller’s most requested hits. In 1947, The Big Story (dramas based on newspaper reporting) was first heard on NBC radio. It stayed on the air for eight years. In 1953, actress Debralee Scott (below) was born in Elizabeth New Jersey. Her deadpan, plaintive appearance played for laughs won hearts on each of the 4 TV series in which she had a supporting role: Angie, Welcome Home Kotter, Sons & Daughters, and Mary Hartman Mary Hartman. She fell into a coma & died of complications from cirhossis of the liver Apr 5, 2005, mere days after her 52nd birthday. In 1955, Elvis Presley, (with Scotty Moore and Bill Black), Slim Whitman, Hoot and Curley,Johnny Horton, Tibby Edwards and Floyd Cramer all appeared on the Louisiana Hayride radio show from Shreveport, Louisiana, which was simulcast on KWKH Television. In 1956, two very successful & long-running daytime dramas premiered on CBS TV. The Edge of Night ran for more than 28 years, while As the World Turns continued for more than 44 years. Also in 1956, in Memphis, Johnny Cash recorded his first #1 hit “I Walk The Line.” The self-penned single went on to sell more than 2 million copies for Sun Records. In 1957, Elvis Presley played two concerts at Toronto’s Maple Leaf Gardens. They were two of only four shows Elvis ever performed outside the U-S — the others being the same year in Ottawa and Vancouver. In 1960, the No. 1 Billboard Pop Hit was “Theme from `A Summer Place” by Canadian-born Percy Faith. The song was the most successful instrumental single of the rock era, staying at No. 1 for nine weeks. Billboard also ranked the song the top single of 1960. Also in 1960, the National Association of Recording Merchandisers in the U-S presented its first awards. The top selling artists were Elvis Presley and Connie Francis. In 1961, the Easter Sunday edition of CBS-TV’s Ed Sullivan Show featured Charlton Heston in a dramatic biblical reading; pianist Roger Williamsplayed “Abide with Me” and an “I Love You Truly”/”Sweethearts” medley. Soprano Leontyne Price sang the “Lord’s Prayer”, while Anita Bryant offered a medley of Spring favorites. In 1962, the No. 1 Billboard Pop Hit was “Johnny Angel” by Shelley Fabares. Fabares performed the song on “The Donna Reed Show,” in which she played the daughter Mary Stone. Two decades later she would be the love interest on Coach. In 1964, Brian Wilson of The Beach Boys produced the instrumental track for the group’s first #1 hit “I Get Around.” The vocal track was added a week later. In 1965, British rockers Freddie & the Dreamers recorded “Do The Freddie” which reached the Top Twenty in the US. In 1966, a terrific pop concert for charity featuring Jan & Dean, Sonny & Cher, the Mamas & the Papas, the Turtles, Otis Redding, Donovan and Bob Lind attracted thousands to the Hollywood Bowl in Los Angeles. Also this day in 1966, Herb Alpert’s Tijuana Brass scored an amazing first as they became the first artists to have four LP’s at the same time in the Billboard album Top 10! In 1967, the Beatles finished recording the album “Sgt. Pepper’s Lonely Hearts Club Band.” The LP topped Billboard’s pop album chart for 15 weeks, longer than any other Beatles album. Also in 1967, Steve Winwood left the Spencer Davis Group to form the band Traffic. The other founding members were Jim Capaldi, Chris Wood and Dave Mason. In 1968, The Jimi Hendrix Experience, a trio that included Noel Redding and Mitch Mitchell, performed at the Paul Sauvé Arena in suburban Montreal. There were reports that Hendrix was not impressed with the acoustics of the hockey arena. In 1969, guests on CBS-TV’s “The Glen Campbell Goodtime Hour” included The Vogues, Roy Rogers and Dale Evans, and comedian Flip Wilson. In 1970, at EMI’s Abbey Road Studios in London Phil Spector completed final editing and mixing for The Beatles‘ “Let It Be” album. When Paul McCartney heard the finished product he didn’t like the female backup voices on “The Long & Winding Road” and didn’t want it released. In 1971, Ringo Starr‘s first solo single, “It Don’t Come Easy,” was released. Produced by George Harrison, it peaked at #4 on the Billboard Hot 100. 1971, the sci-fi soap opera “Dark Shadows” concluded an almost 5 year run on ABC TV. In 1973, the CBS Radio Network began to offer news on-the-hour 24-hours-a-day. In 1974, the 46th Annual Academy Awards saw 7 Oscars go to the film of the year, The Sting. Best Music/Song was The Way We Were — Marvin Hamlisch (music), Alan and Marilyn Bergman (lyrics) from the movie of the same name. Also in 1977, Fleetwood Mac‘s “Rumors,” album rose to #1 & stayed on top for an amazing 31 weeks! Still in 1977, Stevie Wonder‘s tribute to Duke Ellington, “Sir Duke,” was released. In 1978, J.R. Ewing and the clan arrived at Southfork, when Dallas was seen for the first time — on CBS-TV. It was originally set for a five-week run, but stayed in prime time for 13 years. 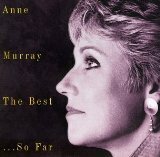 In 1980, Anne Murray won four Juno awards, including best single for “I Just Fall in Love Again.” Show host Burton Cummings was named top male vocalist. In 1984, Canada’s broadcast regulator (CRTC) issued licenses for two then-called “pay TV” cable channels, Much Music and the Action Canada Sports Network, which signed on five months later as TSN. 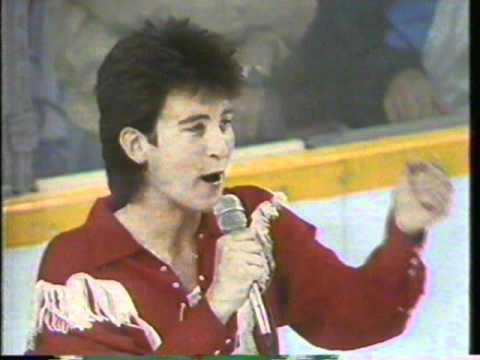 In 1987, Alberta-born country rocker k d lang made her California debut at The Roxy nightclub in Los Angeles. The engagement came as lang’s ”Angel With a Lariat” began its climb up the Billboard country chart. Also in 1987, legendary jazz & big band drummer Buddy Rich suffered a fatal heart attack at age 69. He had undergone surgery for a brain tumour two weeks before. In 1992, singer Paula Kelly (pictured, center) whose career started with The Modernaires & the Glenn Miller Orchestra, died just 4 days short of her 73rd birthday. Her many hit recordings with the Miller band include Chattanooga Choo Choo, Kalamazoo, I Know Why and Elmer’s Tune. Also in 1992, country singer Wynonna Judd hit the stage for the first time by herself. It was at ABC-TV’s American Music Awards, and she wowed the audience with “She Is His Only Need”. A few months earlier her mother Naomi had departed their Grammy-winning duo because of a liver disease. In 1993, at 5:30 a.m., the Hamilton radio station known as Oldies 1150 resumed using the legendary call letters CKOC. Management had faced strong listener opposition after changing the calls the year previous to CKMO. In 1994, actress/consumer reporter Betty Furness who gained fame doing on-camera commercials for Westinghouse in the early days of TV, lost her battle with stomach cancer at age 78. In 1995, Julius Hemphill, an influential saxophonist and composer who helped found the World Saxophone Quartet, died in New York of complications from diabetes. He was 57. In 1996, singer and guitarist, Guitar Gabriel, who was born Robert Lewis Jones, died at the age of 71. Also in 1996, Grammy-winning rapper Hammer filed for bankruptcy, owing his creditors 10 million dollars. After his 1990 debut album, “Please Hammer Don’t Hurt ‘Em,” Forbes magazine estimated his gross earnings at 33 million. 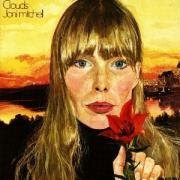 In 1997, Canadian-born folksinger/songwriter Joni Mitchell was reunited with Kilauren Gibb, the daughter she had given up for adoption 32 years before. In 1998, Rob Pilatus, half of the dreadlocked lip-synching pop act Milli Vanilli, was found dead in a Frankfurt, Germany, hotel room. According to Germany’s Bild am Sonntag newspaper, Pilatus was alone and consuming alcohol and pills when he died. Also in 1999, the Black Crowes performed in Knoxville, Tennessee. One of the concergoers later sued the band for $385,000 in a claim that he had suffered significant hearing loss at the show. In 2001, singer Mariah Carey signed a five-album deal with Virgin Records said to be worth a record 23.5 million dollars (U-S) per album. In 2002, Winnipeg-born actor Jack Kruschen died at age 80, after a career that spanned radio’s golden era, the movies & TV. His radio credits included Gunsmoke, Dragnet, Broadway is My Beat & Pete Kelly’s Blues. Also in 2002, Lee Anderson Minnelli sued her stepdaughter Liza Minnelli for elder abuse and breach of contract. The claim was filed based on the will of Vincente Minnelli. In 2003, soul singer Edwin Starr, a one-hit wonder with the 1970 number 1 song “War,” suffered a fatal heart attack at age 61. Also in 2003, dozens of fans walked out of a Pearl Jam show in Denver after singer Eddie Vedder impaled a mask of President George W. Bush with a microphone stand. In 2005, Kanye West had to abandon a CD signing appearance in Fresno, California, after a fight broke out between a fan and a security guard. In 2006, Gnarls Barkley started an eight-week run at No.1 on the British singles chart with ‘Crazy.’ The American duo made chart history by becoming the first act ever to reach No.1 through computer downloads only. In 2009, alto saxophonist/flutist Bud Shank died of pulmonary failure at age 82. He had been a key member of the 1950’s West Coast jazz scene. In 2010, two men received minor injuries and a third suffered a broken leg when part of the stage being set up for a concert by Elton John at the Chichen Itza ruins in Mexico collapsed during construction. Also in 2011, in Toronto, Robbie Robertson, an original member of The Band, was inducted into the Canadian Songwriters Hall of Fame. In 2012, Bruce Dickinson of Iron Maiden appeared at the Buddy Rich 25th Anniversary Memorial Concert at the London Palladium. Dickenson joined Deep Purple drummer Ian Paice, Cream/Blind Faith drummer Ginger Baker and the Buddy Rich Orchestra in paying tribute to the Jazz drummer and bandleader. In 2013, puppeteer Jane Henson, who with her future husband Jim Henson was instrumental in bringing the Muppets to life in the 1950s on a TV station in Washington D.C., died at age 78 at her home in Greenwich, Conn., after a long battle with cancer. Also in 2013, a grand piano used in the Motown Records studios was fully restored and put on display at a Detroit museum dedicated to the legendary record label. Sir Paul McCartney helped fund the restoration of the 1877 Steinway, which was originally in Motown’s Studio B. and was used to create hits for names including Marvin Gaye, Stevie Wonder and Edwin Starr. Still in 2013, Rush frontman Geddy Lee, a long-time Toronto Blue Jays fan, threw out the first pitch at the Jays home opener. In 2014, Emmy-winning sports TV director Sandy Grossman succumbed to cancer at age 78. He directed broadcasts of 10 Super Bowls, 18 NBA Finals, 5 Stanley Cup finals and Olympic hockey matches, for CBS Sports and Fox TV. In 2015, charismatic televangelist Rev. 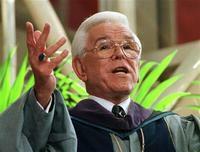 Robert Schuller, who built the Crystal Cathedral in Garden Grove Calif. as the embodiment of an upbeat, modern vision of Christianity, died of esophageal cancer at age 88. In 2016, Mike Gibbons, lead singer of Bo Donaldson & the Heywoods on such hits as Billy Don’t Be a Hero, died of pneumonia at age 71. In 2017, retired Georgia Radio Hall of Fame host Warren “Rhubarb” Jones of Eagle 106.7, died of a heart attack at age 65. The country music morning deejay was the longest serving Atlanta air personality at 23 years. In 2018, Susan Anspach, the effervescent actress who made her mark in the early 1970s in the films Five Easy Pieces, Blume in Love and Play It Again, Sam, and had feature roles in the TV series The Slap Maxwell Story and The Yellow Rose, died of coronary failure at age 75. Saskatchewan-born actress/voicist Shirley Douglas (Wind at My Back, Franklin, Flash Gordon) is 85. Toronto-born actress Sharon Acker (The Young & the Restless, Street Legal, Days of Our Lives) is 84. Actress/narrator Linda Hunt (NCIS: Los Angeles, The Practice, Carnivale) is 74. Actor Sam Anderson (Justified, Lost, ER, Married to the Kellys) is 72. Tacoma-born actress Pamela Reed (Jericho, Grand, Family Album) is 70. Drummer Dave Robinson of The Cars is 66. Actress Amelia Marshall (Guiding Light, All My Children) is 61. Drummer Chris Steffler of the Canadian rock group Platinum Blonde is 59. Country singer Buddy Jewell (Nashville Star) is 58. Actor Christopher Meloni (Law and Order: Special Victims Unit, Happy!, Underground) is 58. Singer Keren Woodward of Bananarama is 58. Actor Clark Gregg (Agents of S.H.I.E.L.D, The New Adventures of Old Christine) is 57. Spokane-born actress Jana Marie Hupp (Ed, Brooklyn South) is 55. Actress Renée Estevez (The West Wing) is 52. Guitarist Greg Camp of Smash Mouth is 52. Actor John Thomson (Coronation Street) is 50. Guitarist Tony Fredianelli of Third Eye Blind is 50. Actress Roselyn Sanchez (Without a Trace, Kojak 2005) is 46. Actor Adam Rodriguez (CSI: Miami, Roswell) is 44. Actor Pedro Pascal (Narcos, Graceland, Game of Thrones) is 44. Actress/voicist Deedeee Magno (Steven Universe) is 44. Actor Jeremy Garrett (Jack & Jill, Legacy) is 43. Actor Aaron Lohr (Bustin’ Loose) is 43. New Westminster BC-born actress Jenn MacLean-Angus (The Killing, Gracepoint) is 43. Actor Michael Fassbender (Murphy’s Law, Band of Brothers) is 42. Actor Aiden Turner (All My Children) is 42. Actor Deon Richmond (Sister Sister, Getting By, The Cosby Show) is 41. Actress Jaime Ray Newman (General Hospital, Mind Games, Eureka, Eastwick) is 41. Ontario-born actress Lindy Booth (The Librarians, Bates Motel, The Punisher, The Philanthropist, October Road) is 40. Keyboardist Jesse Carmichael of Maroon 5 is 40. Actress Bethany Joy Lenz (One Tree Hill, Dexter, Colony) is 38. 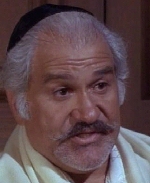 Actor Adam Shulman (American Dreams, Dukes of Hazzard: The Beginning) is 38. Toronto-born model/actress Leyla Milani (Deal or No Deal, WWF Raw) is 37. Actress Ashley Peldon (Guiding Light, The Mommies) is 35. Ontario-born actor Shawn Roberts (Ms. Matched, Emily of New Moon) is 35. Actress Tiffany Brouwer (South Beach) is 35. Actress Christina Masterson (Power Rangers Megaforce) is 34. Actor Drew Van Acker (Pretty Little Liars, Devious Maids) is 33. Singer Lee Dewyze (American Idol) is 33. Actress Briga Heelan (Love, Great News, Ground Floor, Undateable) is 32. Actor Jesse Plemons (Fargo, Breaking Bad, Friday Night Lights) is 31. Actress Christina Masterson (Power Rangers Megaforce) is 30.